but opening the page results in 404 Page Not Found. Has Aard 2 been removed from the database? Also, I often experience connectivity problems opening F-Droid pages and downloading apk files via browser/download manager. First of all, why don’t you use the F-Droid client as expected? You’ll get updates notifications and faster everything. 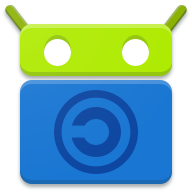 The website is updater later, but Aard2 has been build already: https://f-droid.org/wiki/page/itkach.aard2/lastbuild and you can install it. The point is not how I use F-Droid services but that a page once available is not accessible now. I wanted to know why. There’s only one version of Aard2…so not sure how that was “previously” available?! I have seen the now unavailable page, if I knew it would disappear I would have take a screen-shot. 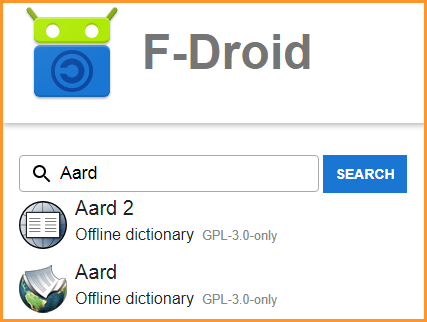 Also, Fossdroid, which, as far as I know, retrieves data from F-Droid, has Aard 2 page accessible. As I mentioned above the F-Droid Aard 2 page was once available. I cannot confirm that there was a aard2 web page all the time which disappeared, but aard2 has been on F-Droid for years. I installed it from there via client a long time ago. Recently I noticed only by accident that a new version is available by looking at the latest tab. There was no update notification and an update wasn’t possible. I had to deinstall the previous and reinstall the new version. So something went wrong with aard2, whatsoever. There were some versions then they were disabled, and with the metadata rewrite to YAML the newest version was pushed. The Aard 2 page is back.